The chair of the federal Liberal caucus says most of his fellow Liberal MPs support keeping Jody Wilson Raybould and Jane Philpott on the team. The chair of the federal Liberal caucus says most of his fellow Liberal MPs support keeping Jody Wilson-Raybould and Jane Philpott on the team. Prime Minister Justin Trudeau has been asked multiple times in recent weeks whether he's inclined to let Wilson-Raybould and Philpott remain in caucus following their high-profile resignations from cabinet. 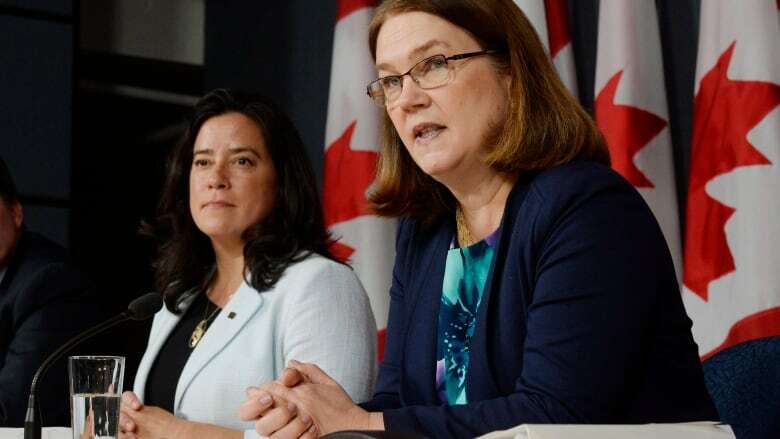 Wilson-Raybould's claims of political interference in the prosecution of SNC-Lavalin has touched off the Trudeau government's most damaging political crisis to date. "I think the general consensus based on the conversations I've had is that they're welcome to stay if that's what they wish to do," Liberal caucus chair and Montreal-area MP Francis Scarpaleggia told David Cochrane in an interview airing Saturday on CBC Radio's The House. "I'm glad they're remaining in caucus." He said that any awkwardness or trust issues between the two former ministers and the rest of caucus won't last. "I think with time, any wounds will heal," he said. "I don't see that there's a problem in terms of trust. Maybe some people feel that way. "Of course, people were saddened and maybe a bit hurt at the beginning when two excellent ministers decided to leave cabinet, but life goes on. Wilson-Raybould resigned as Veterans Affairs minister on Feb. 12, not long after a Globe and Mail report said Trudeau shuffled her out of the justice and attorney general portfolios because she'd refused to clear the Quebec-based engineering firm SNC-Lavalin to negotiate a deferred prosecution agreement (DPA). Such an agreement would allow the company to avoid a criminal trial on bribery charges related to contracts in Libya by paying a fine and meeting other conditions set by the Crown. On Feb. 27, Wilson-Raybould went before the Commons justice committee. She testified that she came under "consistent and sustained" pressure — including veiled threats — from the PMO, the Privy Council Office and Finance Minister Bill Morneau's office to clear SNC-Lavalin to secure a DPA. On March 4, Philpott quit her cabinet post as president of the Treasury Board, saying she had lost confidence in the government's handing of the issue. Earlier this week, Trudeau said he hadn't made a decision yet on whether Philpott and Wilson-Raybould can remain in caucus.